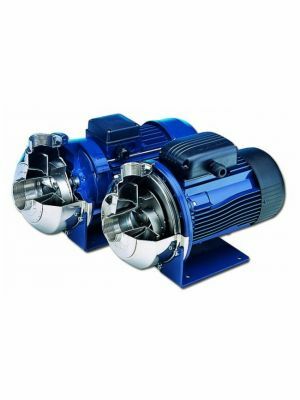 Lowara CO(M) end suction centrifugal pumps made from corrosion resistant stainless steel, with open impellers for liquids with suspended solids. Some suitable applications include hot wort transfer in the brewing industry, washing vegetables, meats and fish. They are also suitable for industrial washing plants that may contain solids e.g. bottles, jars, glasses and crates, process applications such as paint plants and general dirty liquid handling.